“La Farcia was born from an idea of chef Flavio Ghigo, to rediscover the local culinary excellence and reinterpret the formula of a fast food. Here creativity and tradition blend into a gourmet sandwich shop. Despite its contemporary appearance, the vintage mood recalls memories and tastes related to childhood and family. 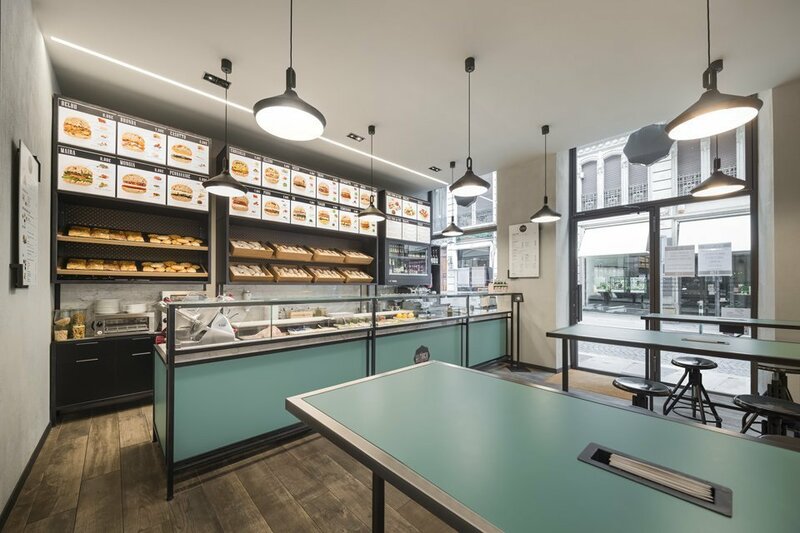 The interior design by AMlAb creates a cozy environment where you can have a relaxing break and you can taste a high quality and healthy sandwhich.